GLOBAL DAYS: THE ZAPATISTAS ARE NOT ALONE! During which, according to their ways, times and customs, they will carry out organized public actions of publicity, dissemination, information and solidarity with the Zapatista communities. Letters and public denunciation campaigns and everything that our imagination gives us to share our rejection of these aggressions from those in power. 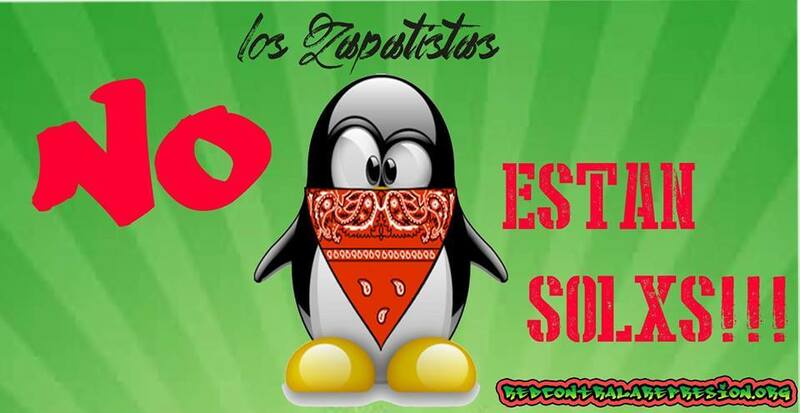 On Sunday July 19, 2015, the Network against Repression and for Solidarity declares that it will be watching for any act of provocation mounted by the State and those in power, trying to deepen the climate of harassment against the Zapatista communities. We will not fail to denounce and mobilize against any repressive act. We say to the warlords of up above, that while you perform one of the most crass and pathetic acts of this ramshackle “democracy,” which is called “elections”, that you are imposing your will through the stick and the bullet. We do not care what the “outcome” of your process will be, nor does it matter to us if the paid media condemns and pursues us. Your media and party political repression do not intimidate us. From below and to the left we will be organizing to practice in the streets, neighbourhoods and fields the principle that if they touch one of us they touch all of us; we will not leave our Zapatista compañer@s alone. We will continue to mobilise across the country and the world for truth and justice, with the Zapatistas, at their side for always. 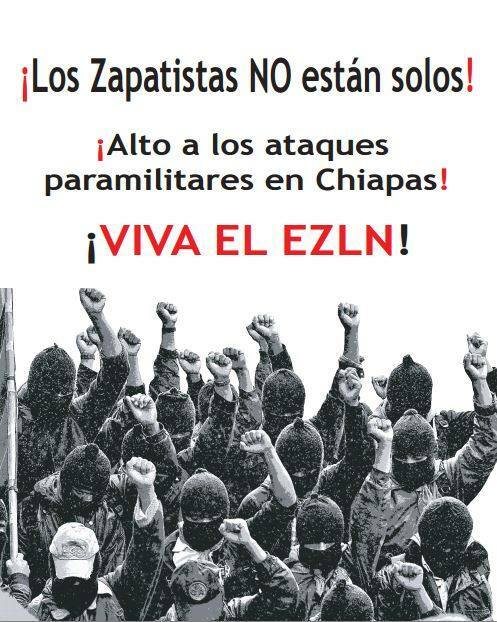 Long live the EZLN support bases! Long live the Zapatista Army of National Liberation!